Chasing a Muse - Members of the master men's chase pack, among them Grant Foster and Mike Anderson, try to catch former world champion Tony Muse (center in Luigino skinsuit) in the final sprint. Muse, 39, hung on to claim fourth place in the master men's division (35 and over). Bont's Norman Kirby had crossed the finish line 40 seconds earlier to claim first. 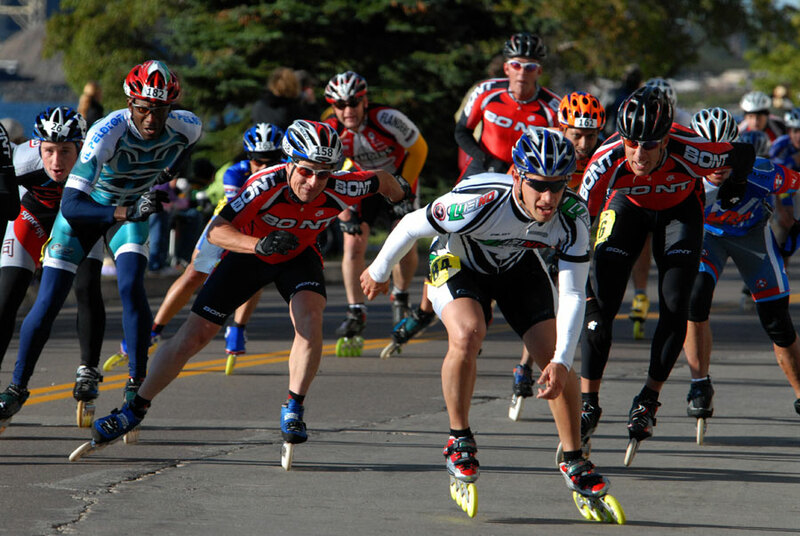 Muse and brother Dante were two of the top roller speed skaters (they raced on both quads and inlines) in the late-1980s and early-1990s.